The passionate scent of roses have these romantic Greek wedding favors. 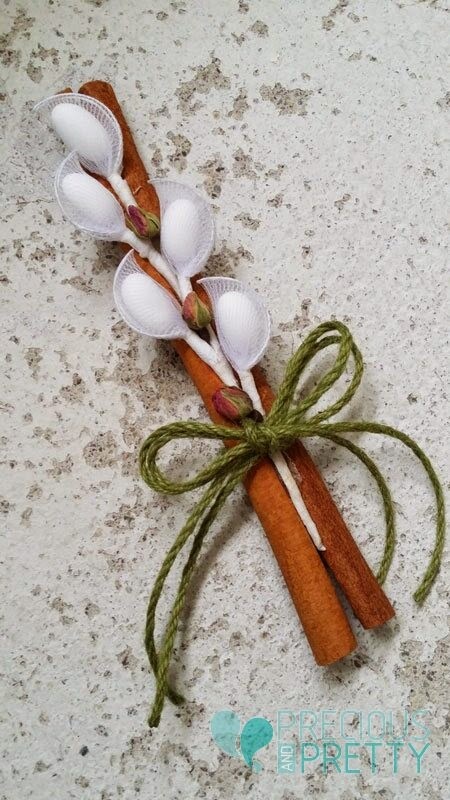 Handcrafted with two cinnamon sticks, tulle branch with five sugared almonds, woven in with dried roses. The final touch is the green twine bow. A beautiful choice for rustic or romantic weddings. https://www.preciousandpretty.com/2015/02/romantic-wedding-favors-g169.html Greek Wedding Favors|Orthodox Crowns|Stefana|Baptism Invitations Romantic wedding favors G169 Romantic wedding favors with roses and cinnamon made in Greece Product #: Greek Wedding Favors|Orthodox Crowns|Stefana|Baptism Invitations_2313060739972495795 5 stars out of 5 reviews.